In Last Labyrinth, you awaken to find yourself "in a room you’ve never seen before. You go to stand but are barely able to move. You look down to find that your arms and legs are strapped to a wheelchair. As the panic begins to set in, you catch a glimpse of a figure out of the corner of your eye. A young girl, standing in the darkness, stares at you with cold eyes…" The girl's name is Katia, but you can't communicate with her verbally. In fact, "the only things you can move are your head and fingers." Fortunately, there is "a laser pointer attached to your head and a switch in your hand. When you press the switch, the laser pointer turns on, allowing you to point to things around you." If you and the girl are to escape this terrifying predicament, you will need to rely on each other to succeed. 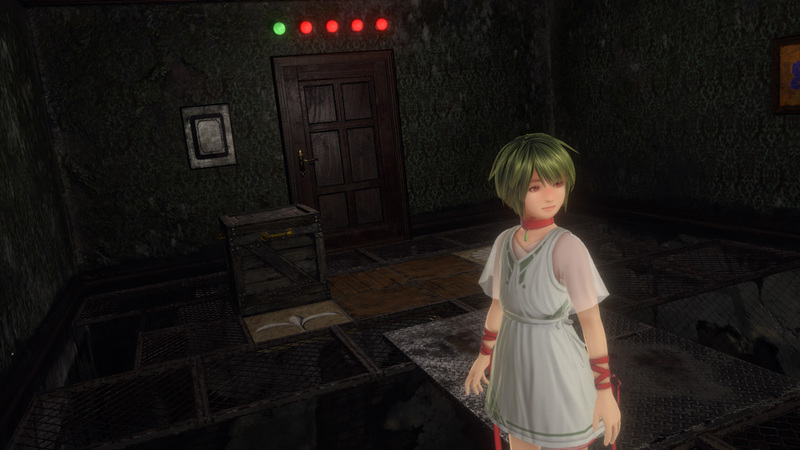 Although described as an "escape-the-room" adventure, really Last Labyrinth is set in an eerie mansion with many rooms to escape, each of them presenting their own unique puzzles and dangers to overcome before moving onto the next. Created exclusively for virtual reality, the game is presented in first-person, though of course Katia will be the one performing all the actions. All you can do to guide this mysterious girl (played by Dutch actress Stefanie Joosten) when she seeks your input is to "nod your head to show approval, or shake your head to show disapproval of her action." The goal for the developers is not only to create a compelling puzzle-solving experience, but to imbue Katia with an authentic personality such that you can't help but feel a strong connection to her – a good thing, since your fate is so inextricably connected to hers now. Production on Last Labyrinth is nearing completion, with a targeted launch on Oculus Rift, HTC Vive, PlayStation VR and Windows Mixed Reality headsets sometime this spring. The game will be finished even without crowdfunding, but with an "extremely limited" marketing budget, in order to ensure that the game reaches the widest possible audience, Amata has launched a Kickstarter campaign to raise nearly $20,000 (US) by March 25th to spread the word between now and launch day.